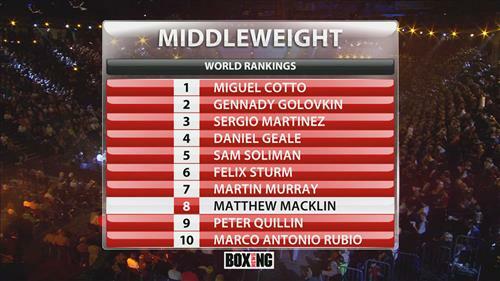 Well, you probably know the result... but Macklin won on points. There was plenty of ring-rust and Yebes has not been stopped but the rounds is the one thing Macklin needed. He boxed well at range and was a comfortable winner but he wants - and needs - to get right back into the middleweight mix. One of the reasons Macklin was so early in proceedings (first on the card) is so Joe Gallagher can get enough time to prepare Paul Smith properly.. The ringwalk will be at 10.00pm fight fans! 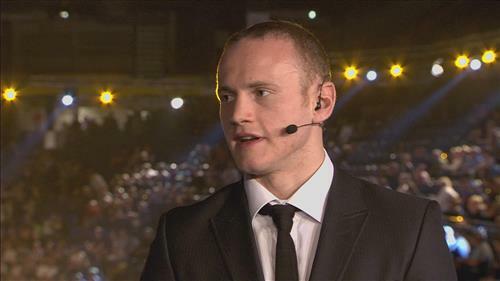 Sky Bet's boxing tipster Jamie Casey is finding it difficult to see past the favourite tonight, he's reckons your money should be on a stoppage win for the favourite. Smith has been stopped twice in his career, against James DeGale and George Groves respectively, while Abraham has gone the distance with the likes of Carl Froch and Andre Ward, the division’s elite. That suggests Smith is going to have to come up with something truly special to claim a stoppage win (7-1), while a win on the cards in the champion’s own back yard is even less likely at 15-2. It’s a short price, but Smith could find himself a little out of his depth tonight, so take Abraham to win inside the scheduled 12 rounds at 8-15. Find Sky Bet's short betting preview and odds here. [betting]Well the bookmakers and tipsters may not be giving Smith much of a chance tonight, but that’s not the feeling among the punters. Smith has attracted over 15 times the number of stakes as Abraham has, as Sky Bet’s punters eye up the value in his price of 7/2. And in the individual round betting, Smith to win in Round 9 is the most popular at 66/1, with very little money coming in on the home favourite at all. Patriot punts? Perhaps, but good luck to Smith from Sky Bet! Kalle Sauerland is predicting King Arthur to retain his world title... with a KO! 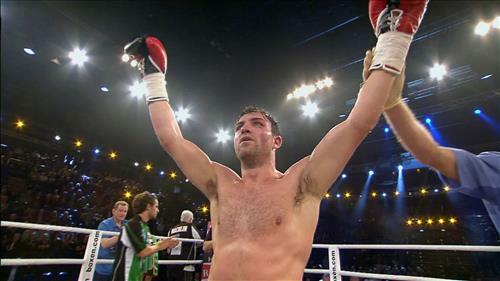 He is the WBO super-middleweight champion. This is his second stint in charge of that strao but has not stopped anyone for a while - and four fights. The Merseyside derby ended all square.. will Liverpool have something to celebrate tonight? 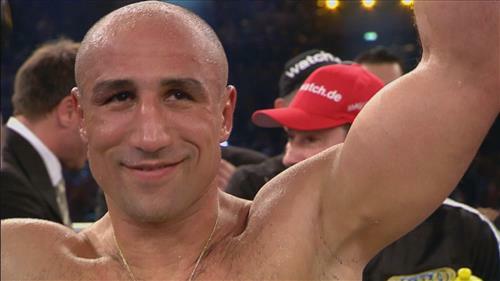 A lot depends on how Arthur Abraham comes out; if he comes out fast we will adapt to that. We've got a few plans and listen, if things aren't working, we can change them. We need to win - and win by all means necessary. A fairly quiet start to this one. Abraham looks like he's taking a break but Smith keeps shuffling into range, letting go and then shifting out again. He lands another nice right and the bodyshot from the left makes a real mark. Abraham comes back but again Smith scores with another cracking combo; Abraham is hunched up so the hooks hammer home, then when he emerges on the offence, the headshot lands again. Cracking round! Abraham draws him in but he ends the round missing big shots. But that was the best round of the night for the boy from Liverpool. Is Abraham on the way down. Well Smith looks really, really good. Smith sends a slick straight right threw his guard for a starting shot with Abraham easing his way into the eighth. Both seem to have energy to burn after a quiet half but Smith misses another big right, although he then swerves a nasty left coming in. Yes that draw Abraham out of his slumber but still, Smiths pump that jab in, puts the combo together and then gets out. There are exchanges again but Abraham has hardly shone. Smith finishes with another bodyshot - that hits home clearly. Another good round for Paul. Right here and now, this could go either way! This is clearly the best we've seen from Smith and just to hammer than point home, a naughty little uppercut catches Abraham nicely. Abraham looks like his old self and trundles in, throwing the bombs but bang! A right from Smith clearly wobbles the champion. He does not dive in to finish off because Abraham wants to hit back but a sensible move from Smith keeps him at range. It is another round that has not only seen Smith box well, but suggests King Arthur is suddenly feeling his age. Scoring will be crucial! A low blow from the champion goes unnoticed but four shots to the ribs don't. Not big but might score the points - and he might need them. Referee Byrd steps in for the first time with Abraham grabbing hold, clearly for a rest. 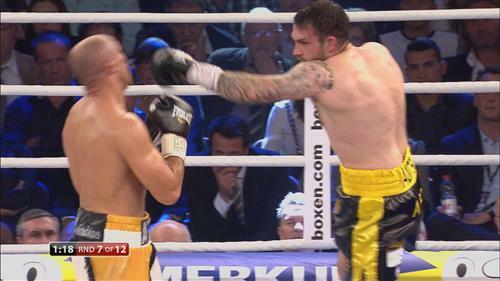 Smith sees this and his umpteenth wind sees him pop in the jab and the straight right again. He leans in from range and still lands and still moves away before Abraham has come back. The Smith left hits up, then down, and shows that he really is in charge now. There are whistles from the crowd, perhaps at King Arthur because he is gone quiet - for a man who usually relishes in these late stages. Smith has been brilliant #skysportsboxing let's hope the judges are fair. The decision has gone the champions way in a UNANIMOUS DECISION! And wait for the scores... 117-111, 117-111, 119-109.